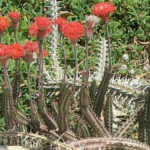 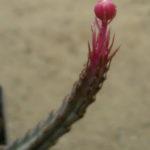 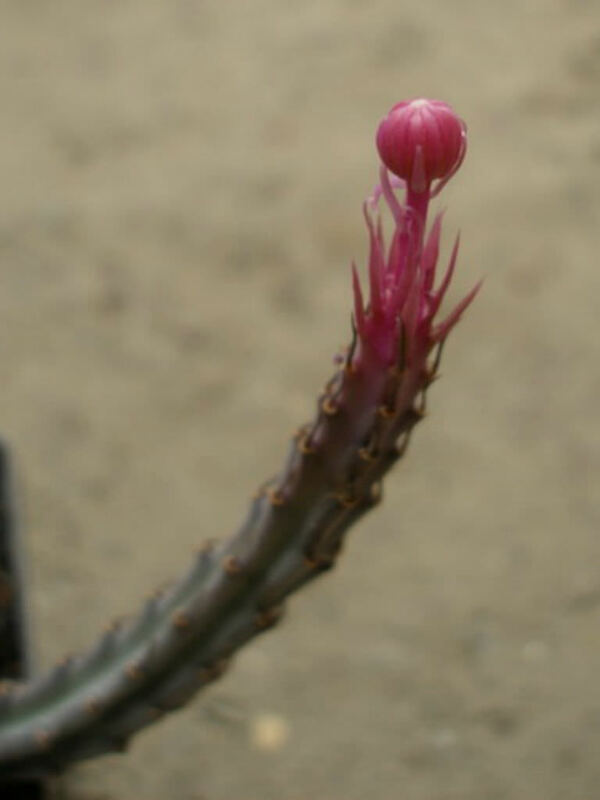 Kleinia stapeliiformis, also known as Senecio stapeliiformis, is an attractive succulent plant with prettily marked pencil-like stems with purple-green patterns and soft spines along the sides. 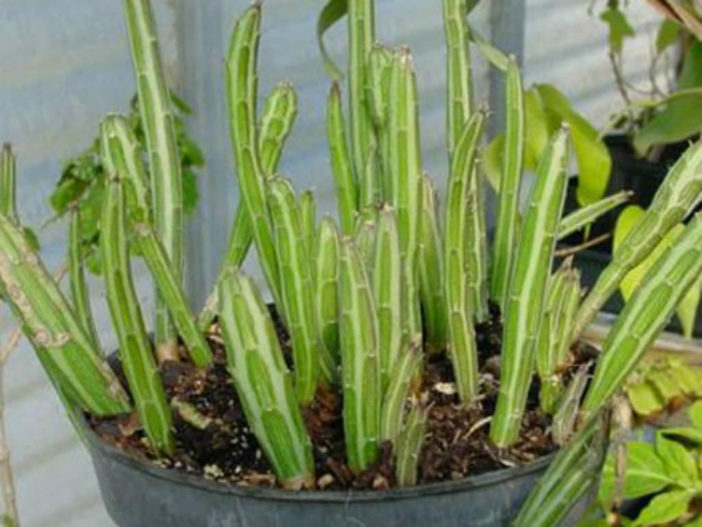 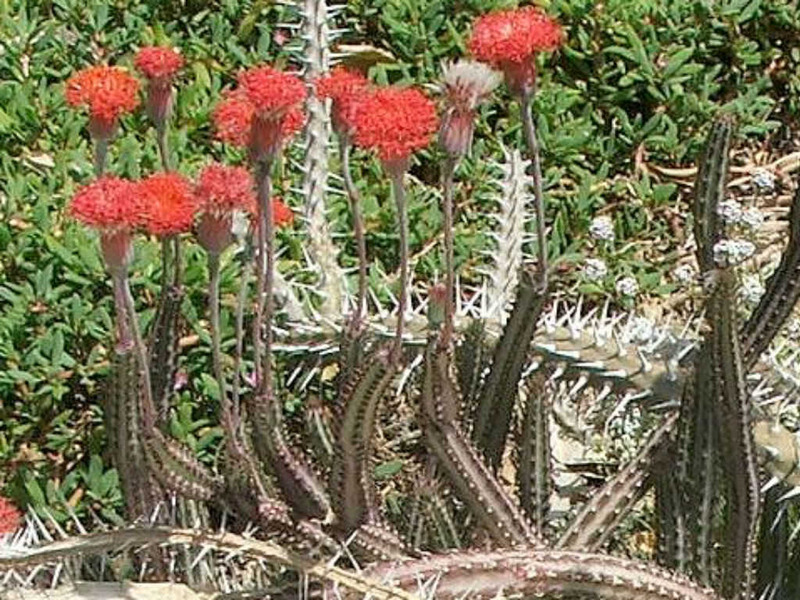 The stems are cylindrical, soft, brittle, glabrous and highly succulent, jointed, up to 10 inches (25 cm) long, up to 0.8 inch (2 cm) thick, with 4-6 or rarely more angles or grooves with scale-leaves arranged along the ribs, dark green and often with an unusual pinkish tinge with silvery-green striations and purple arrowhead markings below each node. 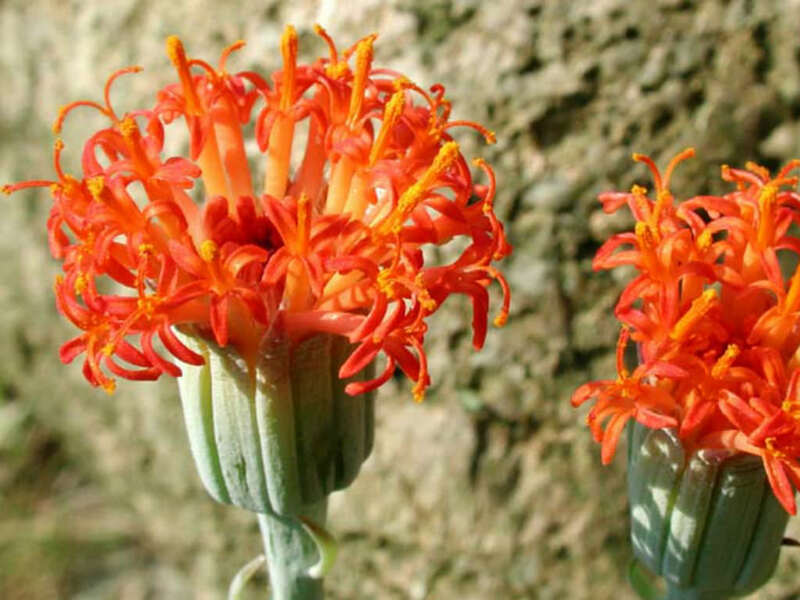 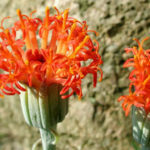 Flowers are large, hawkweed-like and red or orange in color.